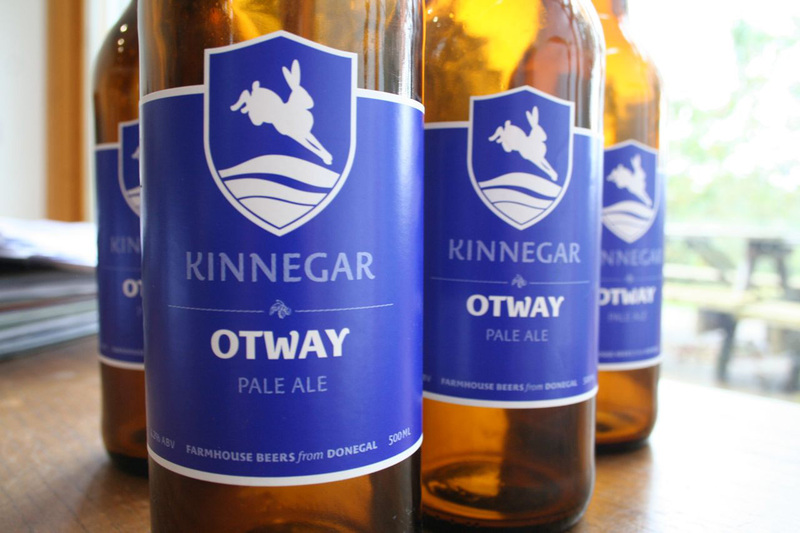 In the lingering aftermath of Europe’s stunning victory in the Ryder Cup, the beer we brewed in honour of Paul McGinley’s Donegal roots continues to win friends and influence people. We’re proud that Rick O’Shea, one of the country’s highest profile craft beer enthusiasts, included Otway in his most recent “beers I liked and you might too” list (www.rickoshea.ie). It’s no surprise then that Otway has been taken to the tailors. Like the Ryder Cup team members changing back into civvies after the big event, Otway’s “Special” stripe has been retired. He now sports a smart new regulation outfit, joining Limeburner, Devil’s Backbone, Scraggy Bay, Rustbucket and Yannaroddy as part of the permanent Kinnegar team. He has of course retained his glorious European team blue. This entry was posted on October 16, 2014 by kinnegarbrewing. It was filed under A brewery grows .